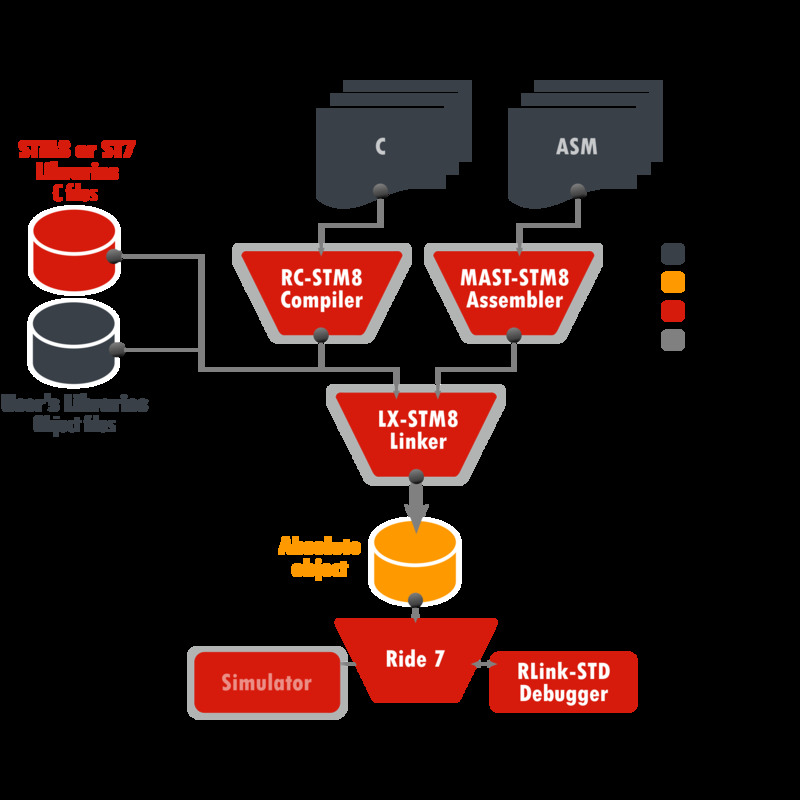 The RKit STM8 "Lite" (RKit-STM8-Lite) software toolset in conjunction with the Ride7 integrated development environment provides a complete solution for compiling and debugging your applications for STM8 and ST7 microcontrollers. For an overview of features, go to the RKit-STM8 feature comparison for comparison of Basic, Lite and Enterprise licenses. A full-featured 30-day evalution is available at our support extranet.